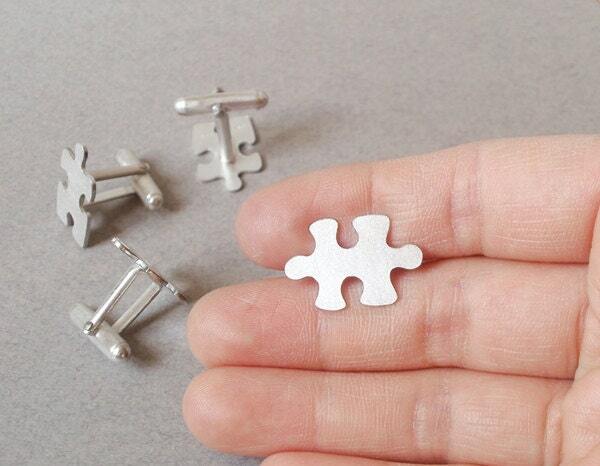 These jigsaw puzzle cufflinks are handmade at my small studio Southwest England, UK. 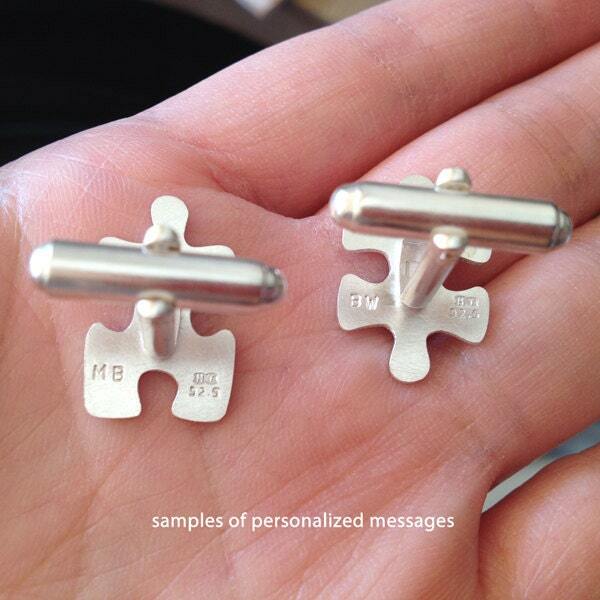 Personalized option: You could have up to 3 characters on the back of each cufflink. 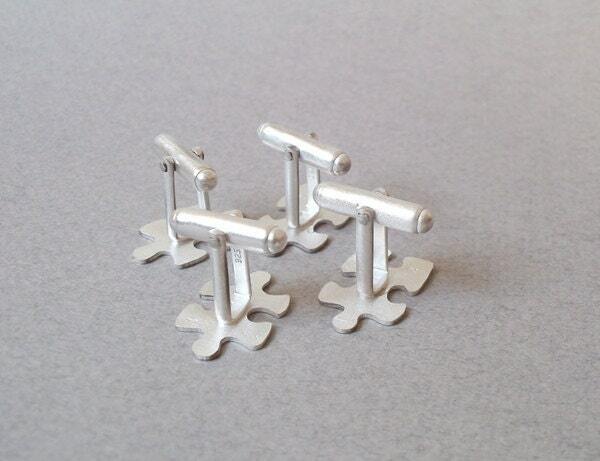 They are also avialable in 9k yellow or 9k white gold (£200 / pair). 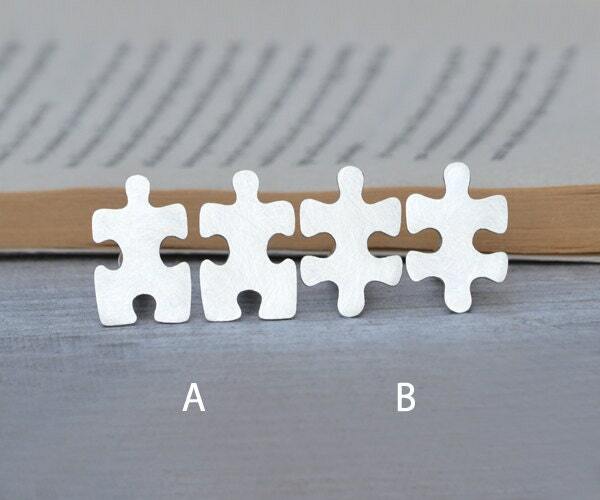 Please contact me for a personalized list. 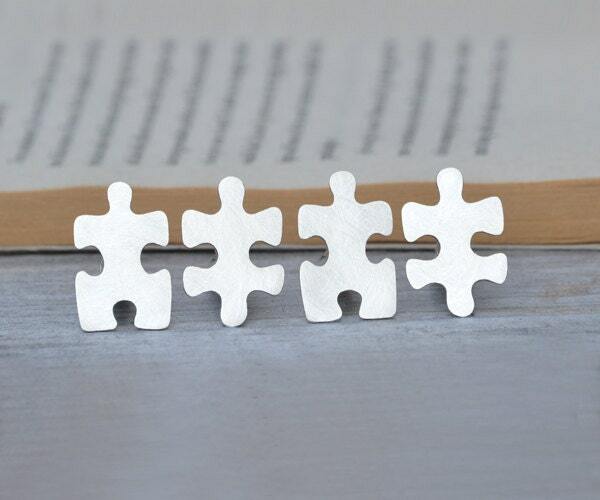 These were apparently lovely - they were a 21st birthday present for my nephew - and arrived in plenty of time too!